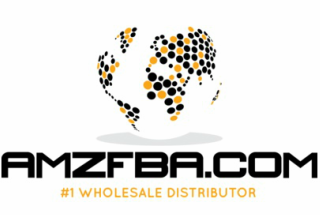 ﻿Www.amzfba.com - A site of a Wholesale Distribution company [ASTG] for Amazon Sellers is based out of Chicago, IL. We have been around in the wholesale, closeout, surplus, liquidation industry since 1994. We have an excellent reputation of building and maintaining relationships with our vendors & customers. With thousands of quality products and excellent profit margins that will help build your e-Commerce store. Anyone can make a buck, but our way of doing business from day one has been to create a relationship which is based off of a complete understanding of your business needs, proper communication at all times, and delivering on our promises. We are known as the go to company when it comes to buying low and selling high. We have products in categories such as; Consumer Electronics, Toys, Video Games, Tools, Small Kitchen Appliances, As Seen on TV products, Close-Outs and many more at the lowest cost possible. Wholesale Industry being as scattered as it is, AST Group during its inception noticed a desperate need for a distribution channel that was considered to be the ‘GO-TO’ company for all product sourcing needs. We cater to all size businesses. We buy only 100% brand new items. AMZFBA.com was created to show a glimpse of the products that we have sold in the past. It is served as a catalog to our customers to review products that they can potentially sell. The products listed on our website are from the past, the pricing, & amazon ranks that are listed were the actual details at the time of goods being sold to our customers. Amazon pricing, and ranks can change at any time. Please note: To help ensure that the products being offered aren't being sold or offered to general public, we will require information about your business to get you set up with an account. Once your account is set up, you can start placing orders with your assigned sales rep. Fill out the dealer application on our Contact Page to start a business relationship. Must have a Re-sellers certificate on file to place order. Certain products may have a minimum quantity order that needs to be met. Contact your sales rep for more details. Credit terms are available but after a significant amount of business transactions have been completed. Credit terms on approved accounts will not exceed 15 days. Subject to approval. Payment Methods available: Wire Transfers, ACH, Credit Card/Paypal. All credit card transactions are subject to a 3% charge. Certain products have MAP pricing which will be enforced. Your Account rep will provide more details. Your order will ship out after accounting has cleared payment. Let’s connect soon and start a business relationship!